The Apollo Bay Hotel sits on the Great Ocean Road in central Apollo Bay, and has a menu full of standard Aussie pub favourites along with a few Asian dishes. We visited over the busy holiday period, but the pub wasn't full when we arrived around 7, it did fill up though. We ordered a trio of dips to share to start, unfortunately these didn't arrive, our friends garlic bread did. I eventually has to go to the counter about this and got a refund. 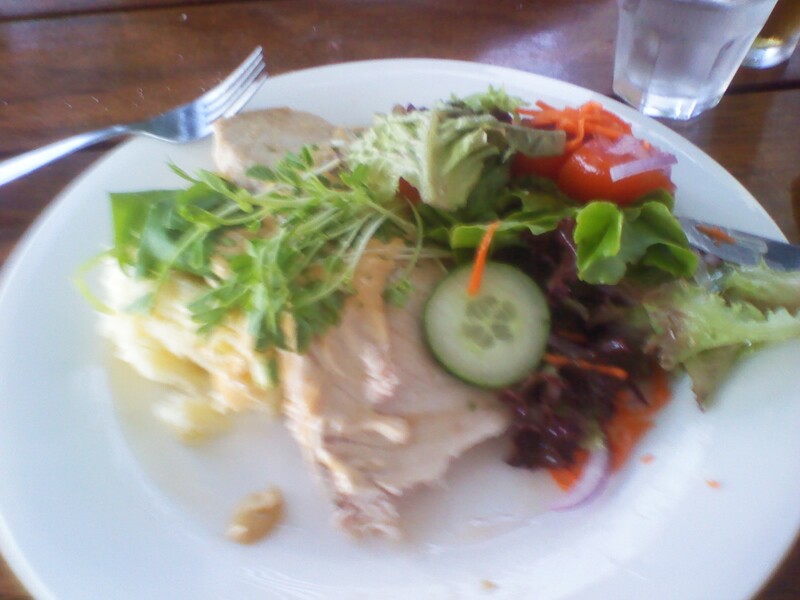 I went for the fish of the day on mash with salad. The meal was a little cold when it arrived, but tasty with a decent salad. The meals our fellow diners had were fine without being exceptional. I guess the service can be explained by the time of year, but it was disappointing and ended up being the thing that stuck in the memory. We ate at the pub again on a recent visit to Apollo Bay. 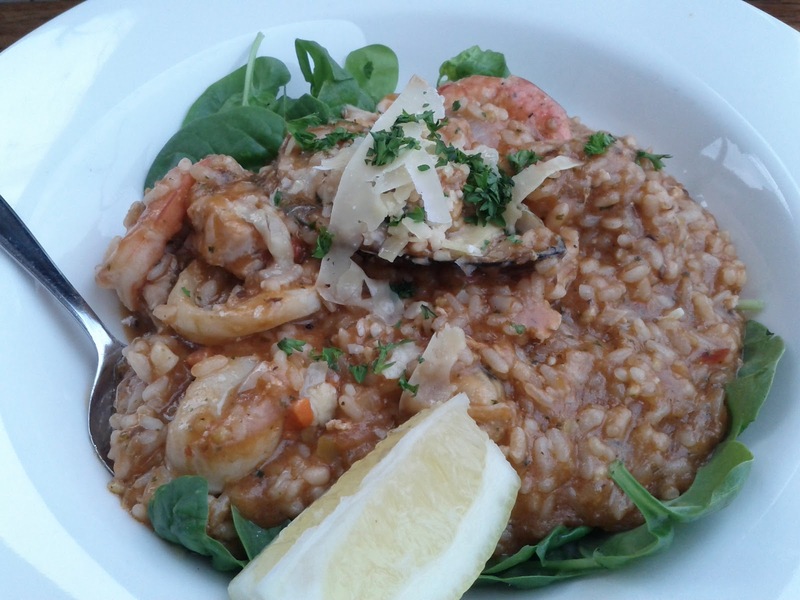 The Seafood risotto was uninspiring and runny. 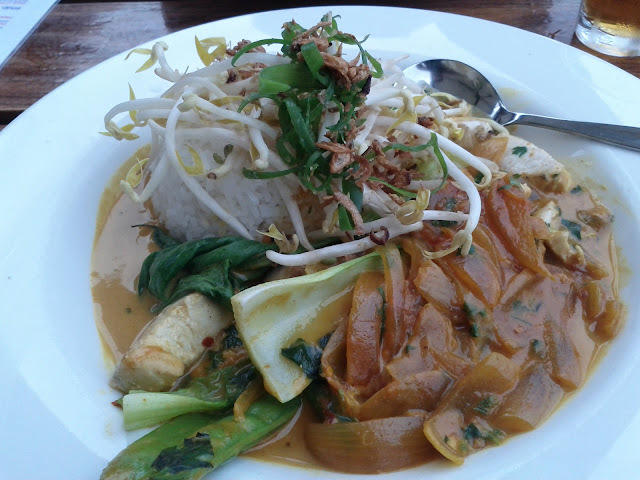 The fish curry was an usual mix of south and east asian flavours and ingredients, with coconut southern Indian style sauce for the fish topped with bean shoots and bok choy! It didn't really work for me. Perhaps we should have stuck with more traditional pub dishes.